XpertHR’s Global HR and Employment Law Guide and bi-weekly Editor's Choice newsletter helps HR professionals with responsibilities for staff outside of the United States navigate the challenges of being a global employer. Training and development, including global approach and standardized training, delivery and records and employee development programs. Purchase of the Global HR and Employment Law Guide includes access to XpertHR's e-newsletter which provides alerts to key updates to XpertHR international coverage as well as across all XperHR US content. Interested parties may email SHRMStore@xperthr.com to learn more about access to the entire portfolio of XpertHR content including XpertHR's full international offering proving authoritative coverage for more than 40 countries and territories. 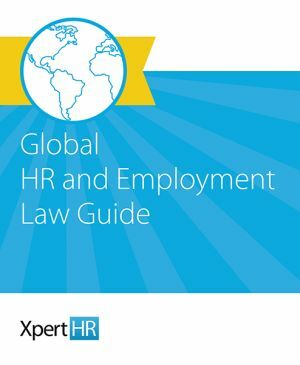 Once purchased, the Global HR and Employment Law Guide will be emailed to you from the following address: shrmorders@xperthr.com. Please check your spam filter if you do not receive a communication from this address within 48 hours of ordering.